As mentioned yesterday, the birthday party was a success. The photos, not so much. For some reason, most of them are a bit blurry, so excuse the quality. I wasn't taking the photos, so maybe the camera setting was off. Everything else was perfect though! The Sesame Street theme sent my son into a tizzy of excitement, and he insisted on wearing his Elmo pyjama top. If you look closely, you'll also see that he insisted on putting on his cousin's pink princess shoes and refused to take them off! 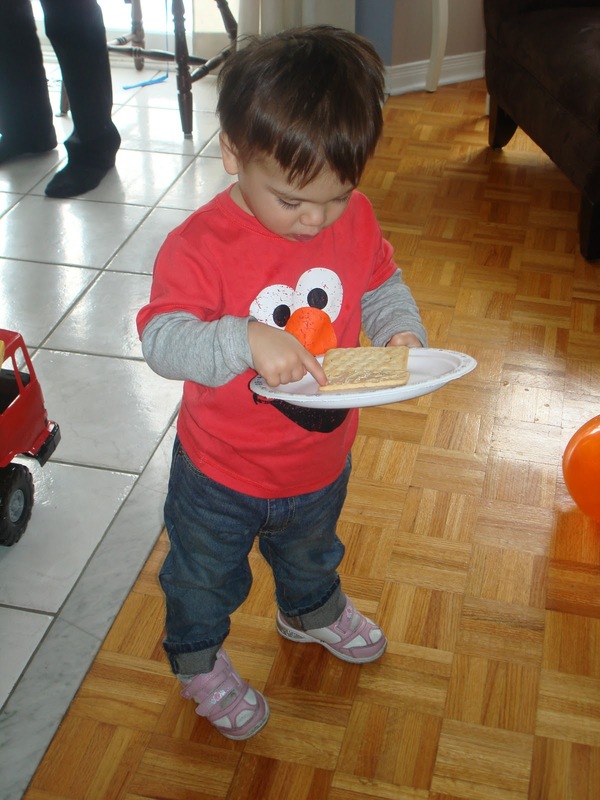 The birthday boy, in an Elmo shirt and princess shoes! He didn't really understand that all the gifts were for him, and once he opened one, he would get completely absorbed in the toy and had to be coaxed back over to open another! Here's one of his new toys. 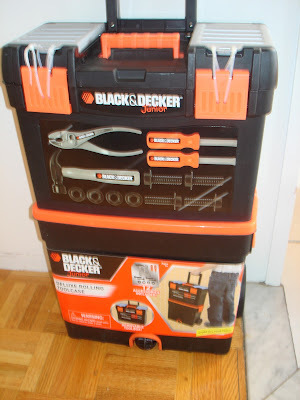 My parents bought my husband a real kit that looks about the same for Christmas, so my son was very excited to get a tool kit just like his Dad's! The kit comes apart, and came with pliers, a hammer, screwdriver, etc. We had fifteen people at the party, and we got 24 regular sized slices from it. 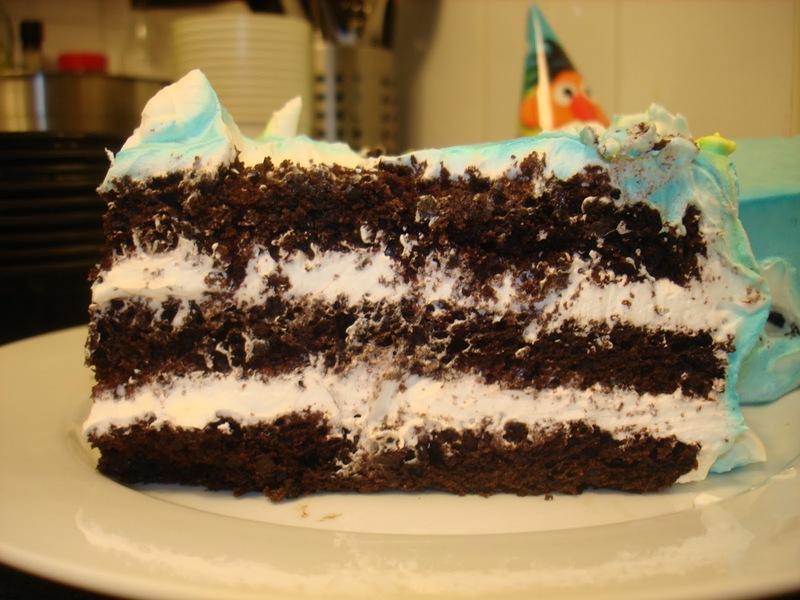 The inside was a three layer, double chocolate sponge cake with a whipped cream-style filling. The cake was light and airy but not dry, and the icing was full of flavour but not overly sweet. 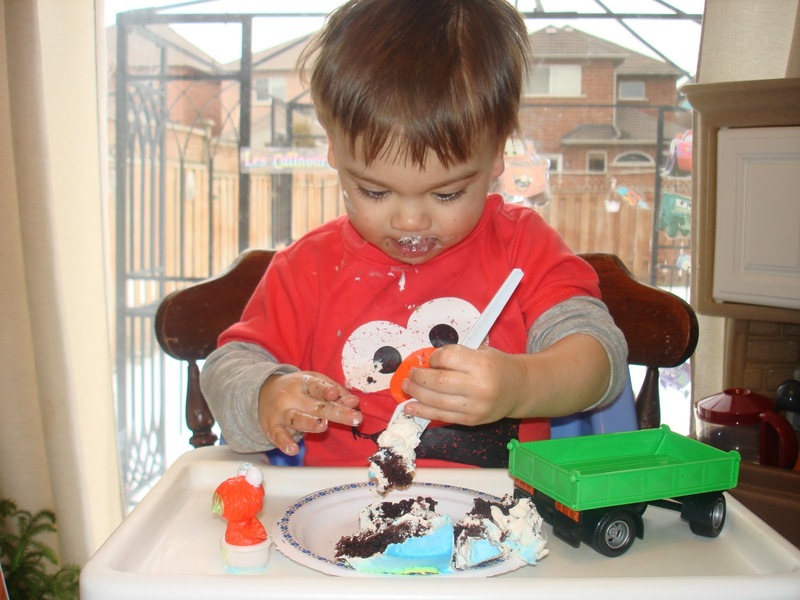 Our guests began questioning how my son could eat the cake with his dietary restrictions. Everyone was completely surprised when they discovered that the cake contained no gluten and no dairy. Three layers of chocolate deliciousness! 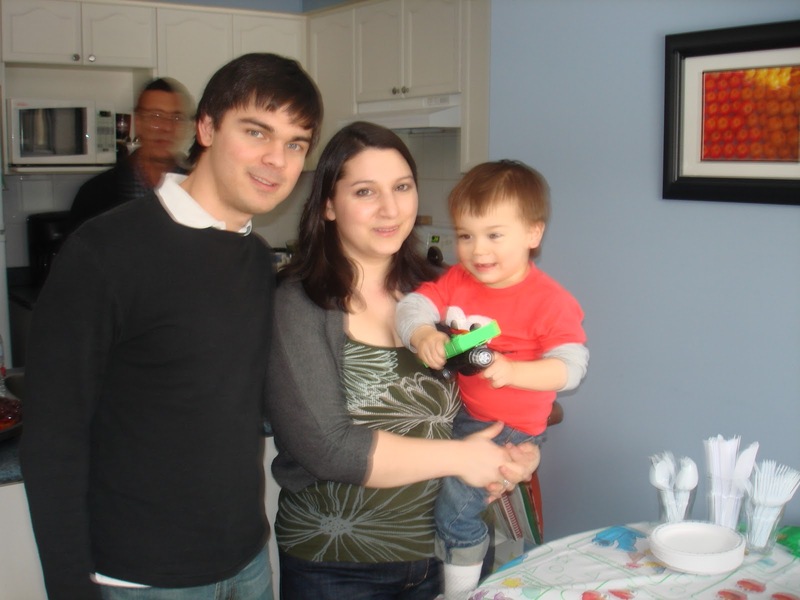 As you can see, my son enjoyed it too! In fact, it was so good that people asked to bring slices home with them. 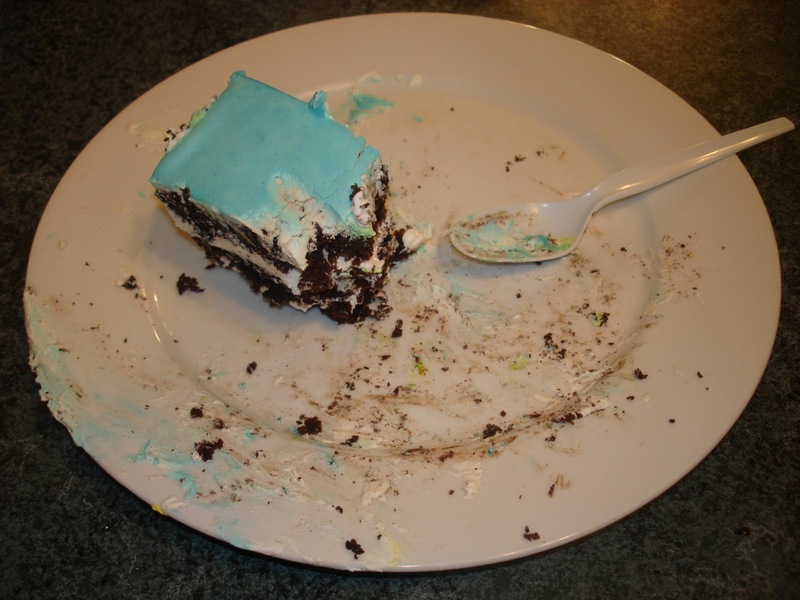 By the time everyone was gone, this was all that was left. And my husband finished that off before bed! I'm really happy that the cake was a success because it was the most stressful part of the planning. Decorations, gifts, invites are pretty straightforward to get ready. Even the main dishes were fairly simple to plan and order after a bit of research. The cake was an entirely different matter. We had some bakeries tell us that they could do dairy free OR gluten free, but not both. The baker we almost went with told us that we should just get an 8 inch cake because most people probably won't like the cake anyway. The bakery we chose, Terra Mia Bakery, we found by accident, and it felt like the stars had aligned in our favour. 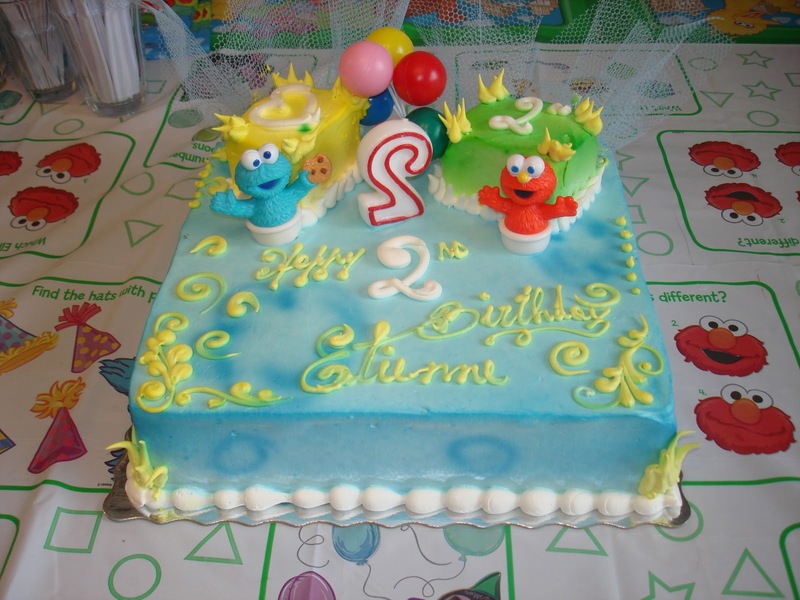 We were quoted for a 10 inch round cake, but the baker put together a larger square cake, with an extra two pieces as the little boxes on top for no extra charge. The service was fantastic, the price was $45, which is $10 less than all of the other quotes we had received, and the cake was to die for. As soon as they get a website I'll post it on here for local readers. I am, however, hoping that someone else got a good shot of my husband, son and I, because this is the only one from my camera, and it's a little blurry. I guess I can't have everything! 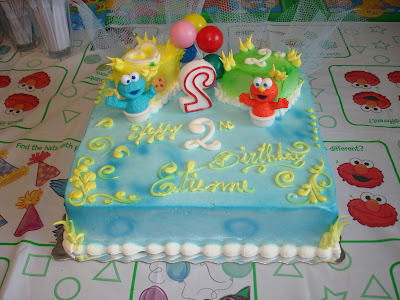 That cake looks AMAZING! I hope as I have as good luck finding a place near us this year! Thanks for the comment. I'm sorry I didn't respond to the last one. The cake was pretty amazing. The baker told us that he used cocoa powder for the chocolate, and that the whipped cream was actually a Kosher product that used coconut oil as the base. He even cut out the ingredient list from the box to show us! I hope you find somewhere. We got lucky that the cake was good. If I were to do it again, I'd start looking earlier and order a cupcake or a small cake in advance to check it out. This place will definitely be getting our repeat business! Wow! That cake is amazing! Your persistence in finding what you wanted definitely paid off! 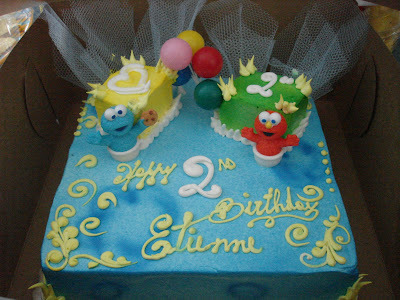 My son loves Elmo and he would love that cake. 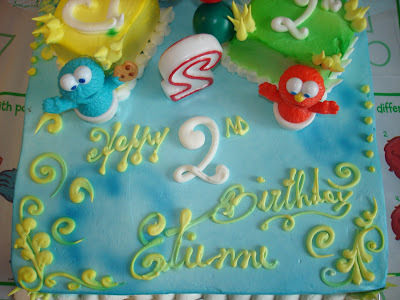 Will have to find something like that for his 2nd birthday this year.